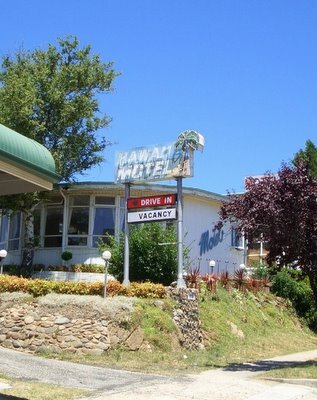 Spotted the "Hawaii Motel" on the main road in Cooma. MB believes this to be a very exaggerated claim. MB has been enjoying motel spotting along the way, with the ones offering such modern amenities as "colour television" and "fax machine" being the most notable.